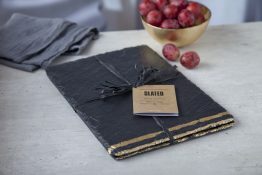 We’ve always adored the rich metallic glow of copper and love how it compliments the slate beautifully. 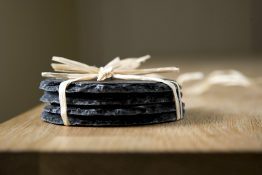 Part of Slated’s popular Copper and Slate collection the gorgeous Round Candle Holder combines the warm glow of copper with the natural coolness of slate to create the ultimate luxury accessory for your home. 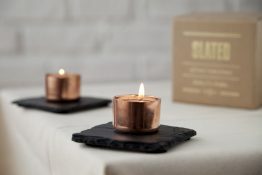 Each copper votive is hallmarked for authenticity as Solid Copper and the high shine finish creates a beautiful glow when lit. 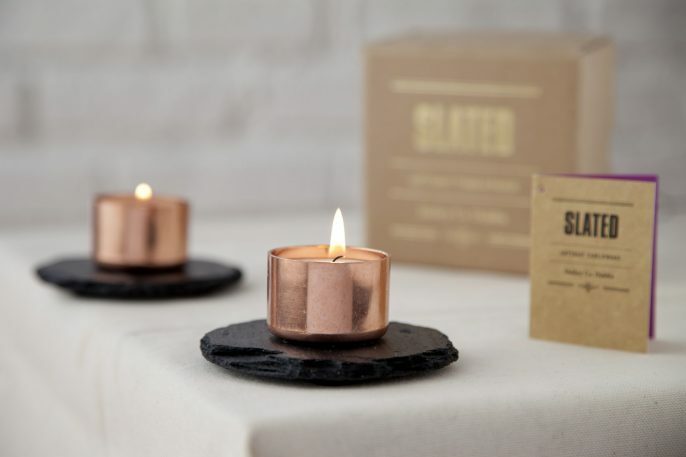 The Slated Round Candle Holder will add a dash of style to any room and features a gorgeous solid copper tea light holder fixed to a round hand cut piece of slate. Copper and Slate Round Candle Holder. 100mm wide at widest point.